34 Weeks of Clean! Week 5- Recipes! OK friends, we are going to take a week's detour from hard cleaning - week 3 for cabinets and drawers took me about 5 hours and week 4 of fridge, freezers, and floors was hard (and cold) work and I need a break! So this week a simpler project - recipes! Ok, maybe not simpler, but at least no scrubbing is involved. More organizing, and I LOVE organizing, remember? Time to be realistic and keep only the ones that I am really going to try, aka - simple ones that my family might be willing to try, and then actually put them where they belong. I do also have two file boxes of older, tried and true recipes. One for only desserts and one for anything else, but I am quite frankly tired of copying new recipes onto those tiny little cards I cannot read anymore, so I have a new-to-me system. Hold on to your hats! I divided sections into categories that make sense to me and then put the recipes in page protectors. Makes clean up easy when I have tiny helping hands. Get those recipes organized. If you have a system that works for you, yay! Go through it and throw out the ones you don't use. If not, go invest in an inexpensive three ring binder and give it a try! Let's don't forget those cookbooks! I used to have about a million more. I even collected a series from Southern Living. They were beautiful but I NEVER used them. I finally took them to Goodwill last year. It was time to stop carrying around (we move often remember) 15 cookbooks just because they were pretty! Go ahead - pare down, you can do it! See, no cleaners or rags involved. Til next week! ;) Ummm, did I say this was our last week in the kitchen? Oops! I got ahead of myself...one more week, friends. Remember, we are on a quest to take back our homes. That means not only clean, but declutter as well. More things mean less room. More things take up space we could use otherwise - in our homes and in our heads! Have fun and make sure you check out the adorable recipe cards that Kemi at Homemaking Organized made for you all! She rocks! I am so thrilled you are joining us! It is your turn to link up all of your clean and sparkling fridges, freezers, and floors! Each week I share a few on social media in hopes of blessing you! This, my friends, is how we do geography! States and capitals Sequence! Have you noticed that some stages of parenting are easier than others? I mean, I know that they all have their challenges, but really, I have found that some stages are just harder for me than others. Like the one I am in now. You know - the "yes, I want to do that, no, I do not want to do that, you are not nice, I am running away tomorrow, I do not like you, I am not listening to you, no, the sky is not blue, it is red and green polka dot" stage. Anyone else there? OK, it may not be that bad everyday, but we are getting close. Add to that a strong-willed, spicy, adopted child with a Latino personality whose dad is currently deployed, and let's just say I am being challenged. A lot. And I feel like I am at a breaking point. His AND mine! So, when the opportunity arose to be a part of the book launch team for Motivate Your Child, A Christian Parent's Guide to Raising Kids Who Do What They Need to Do Without Being Told, I may just have begged to be a part of it. Ok, I begged. Thank you National Center for Biblical Parenting! Written by Dr. Scott Turansky and Joanne Miller, RN, Motivate Your Child is 254 pages of parenting wisdom. Based on scriptural doctrine and years of experience between the authors, it focuses on the concept of internal motivation. Part 1 discusses the Moral Development in Children and Part 2 discusses Spiritual Development in Children. 21 chapters are packed with discussions, ideas, and sound advice. What motivates my child? Right now, I am pretty sure it is NOT internally generated. Both in the younger child and olders alike at times. Everyone is good at doing what they are asked to do. Well, most everyone. But Dr. Turansky and Mrs. Miller contend that a parent's objective should be to teach a child to recognize needs on their own and be internally motivated to react. Not to simply obey when told or asked. Mom and dad will not always be around to tell them what to do, when to do it, or how to do it. They need to be able to get to those things on their own eventually. This is where the Holy Spirit, scripture, a good plan, and even a guilty conscious come into play. Yes, even a guilty conscious is a good thing sometimes. One of the things I love about Motivate Your Child is that it is full of real life examples and the recommended solution. Not just a "you should do this" solution, but a very specific "this is how you can word it" solution. Complete with Biblical examples. I am a detail person. This book gives the details I need. I am willing to bet you will like the details as well. -Confession - what did I do wrong? -Getting to the heart - why was that wrong? -Developing a plan for next time - what am I going to do differently next time? YES! That is what I have been trying to say, but not as well. I want my child to not only know what he or she did wrong and not do it again, but why they should not do it again! And how to not do it again. Have we perfected it? Not by a long shot. Remember, strong-willed, yada, yada, yada. So that's where we land right now. Heart parenting. A whole lot of practicing, but at least I feel like things are not hopeless. I feel better equipped. And I hope that you, too, will feel better equipped as a parent after reading Motivating Your Child! Yesterday was the official release day and already the book is leaping to the top of the charts. For good reason! If you order by the end of the month you can still take advantage of the FREE resources being offered. You can also enter our amazing team giveaway for your chance to win a Go Pro camera and more. Today is the last day, so don't wait on that one! 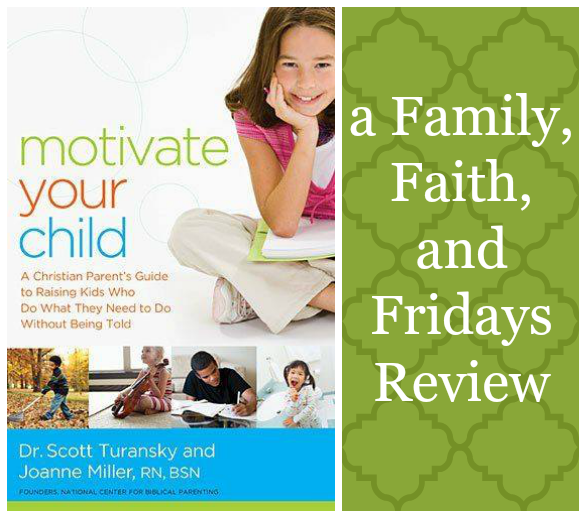 Whether you are a new parent just starting out or one with teens AND toddlers in tow, Motivate Your Child is a book you need on your shelf. I highly recommend it! Do YOU Have Time For Extracurriculars? 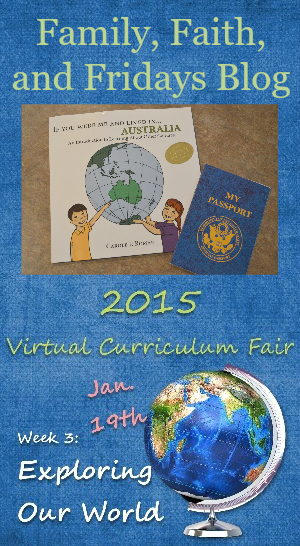 Welcome to week four - our final week of the Virtual Curriculum Fair! I hope you have had lots of fun exploring some "new-to-you" blogs and learning about some new curriculum. This week our hosts are Susan at Homeschooling Hearts & Minds and Lisa at Golden Grasses. 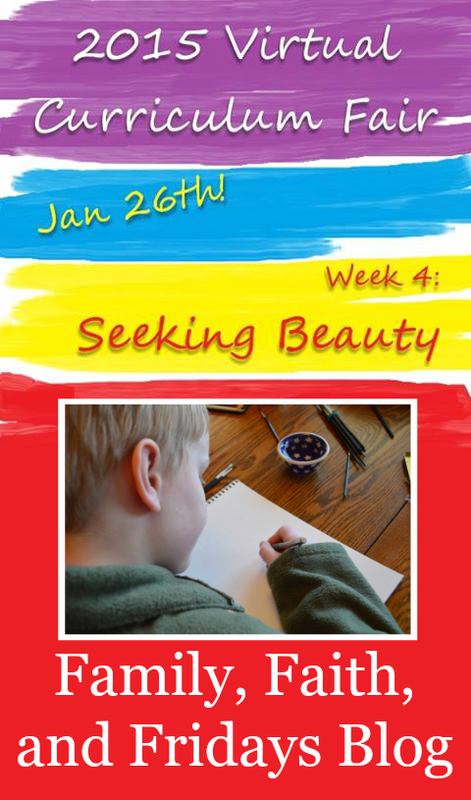 This week is a fun one for me- Seeking Beauty: the Arts and Everything that Brings Beauty to Our World. For us, that equals extracurricular activities. Unfortunately for my kiddos, I am not an arts-and-crafts kind of gal. If something calls for scissors and glue, I tend to pass it by. Sad, but true. We used to do fun stuff like that when I was schooling just one, but I am older and wiser, or maybe just more tired now. Luckily, I do like Artistic Pursuits curriculum and so every once in a while my kiddos get to explore art. In high school I also require that they do a half a semester of art appreciation and music appreciation with a program I put together. I am also currently reviewing a program called Our Homeschool Art Studio which is exceptional. You choose the grade your child is in, pop the DVD in and go! The biggest extracurricular activity for our kids is a foreign language. We begin early and just try to have fun, so by the time they reach highschool it should be a breeze. (In theory, of course!) We have tried many out there and I have several I love, so be patient with me. 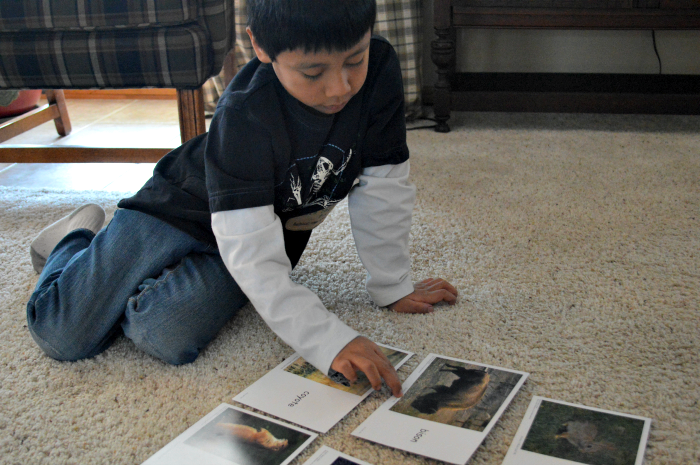 As I have said often, find out what your child's learning style is and cater to that! You will benefit in the end! High School- Rosetta Stone - I am going to be honest with you here, Rosetta Stone is not my favorite, BUT it is widely accepted by colleges as a complete high school course, so I use it. 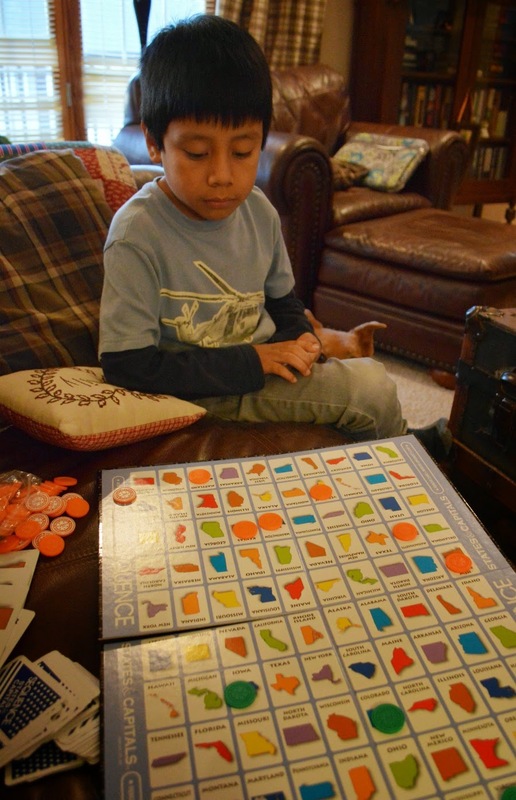 Above all I would recommend Homeschool Spanish Academy! We have taken off this past semester due to the craziness of our lives and have missed it immensely. There is no better way to learn a language than to speak it with a native speaker. Skyping with Mrs. Rosa in Guatemala was way out of my comfort level at first, but we loved her immediately and more importantly CJ loved her and learned so much. The pages we printed out each week are added to our Spanish notebook and give us a guide to study until the next lesson. We are eager to begin again in the spring! One more word about extracurricular-type activities. If you have a homeschool co-op in your town, I would suggest you check them out. Not all are created equal, and I understand the need to pick and choose, but if you find a good one- go! It is a great way to make friends, learn new things, and socialize! (You, not the kids! haha!) My kids have done classes this year in art, speech, history and more! As a matter of fact, next week I want to tell you about two great classes- Men Mentoring Minors and Growing Godly Girls and how I snuck an etiquette class in for fun! 34 Weeks of Clean! Week 4- Fridge, Freezers and Floors! OK, friends, we are still moving our way through the kitchen and hopefully by now you are starting to feel in better control of this area. After all, let's face it, it a place we spend an awful lot of time. Don't lose your momentum quite yet, we are almost done! 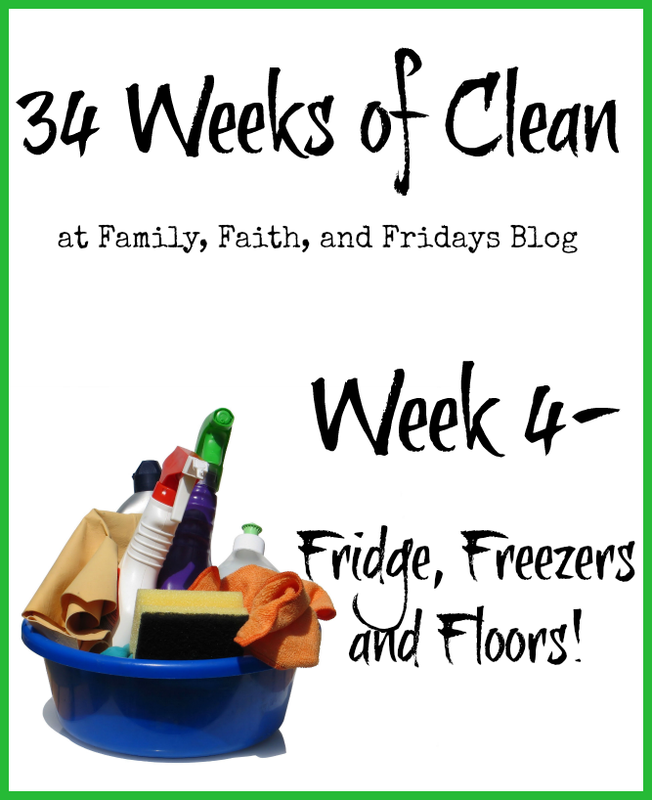 This week - Fridge, Freezers, and Floors! Did you notice "freezer" was plural? That is because we have several. Three to be exact. Remember that we butcher our own chickens, beef, and pork with the help of some friends? Well, we had to have somewhere to put all of that meat so we invested in a third freezer this year. Anywho, more for me to clean. Which leads us to the second tip - do not put open cans back in your fridge. Take the time to put the contents in sealed containers. Not only safer food storage, but cleaner! Clean out when your stock is at its lowest. Make your life easier by having less to move out while you wipe down shelf surfaces and bins! Again, I use this homemade multi-cleaner, but do what makes you happy. Do every surface, inside and out, and do not forget the dusty top. Leftovers get lost in the clutter, do not get eaten and then have to be thrown out resulting in WASTE! Please tell me I am not alone in this! 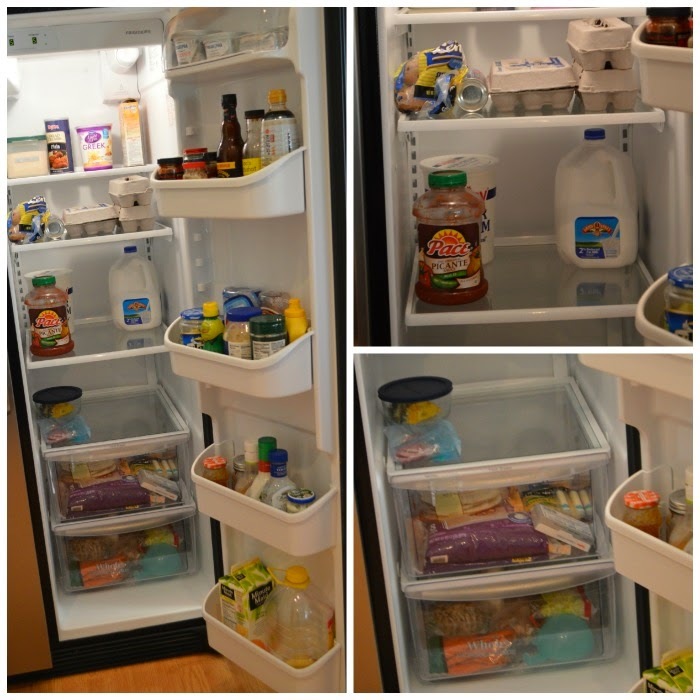 Make an inventory of your freezer space. This may not be an issue if you keep little frozen food on hand, but for us, I have seen it is a must. Usually I am a paper kind of gal, but after seeing our farm friends' method, I was sold! 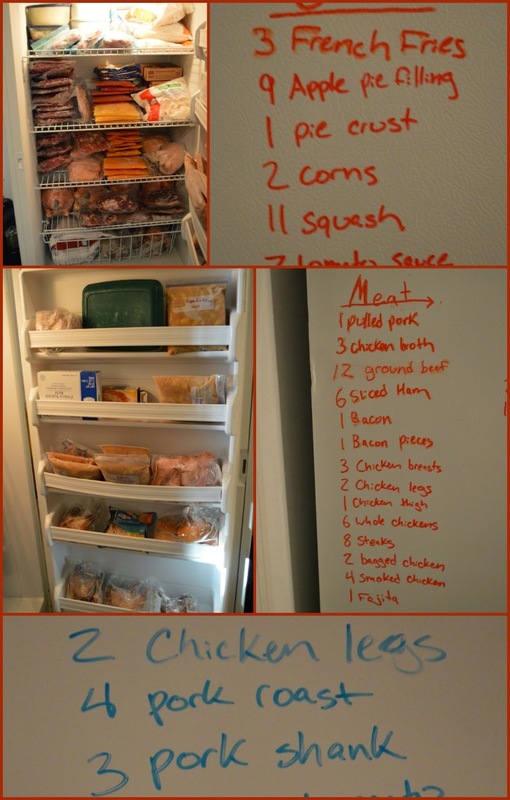 Yep, dry-erase lists on the outside of the freezers! At a glance I can see what I have and, if I can ever remember to leave the marker there, I can quickly change the amount when I take something out. Someone remind me to attach a pen with a string to the door handle or something! After cleaning the inside, do not forget the outside. Yes, even the top! I know, scary, right?! I will say I am not a fan of things all over the fridge. For me, it adds to the clutter and makes me start to feel a little crazy after a while. BUT, right now our fridge front is a monument of love, holding notes of encouragement, cards, and scripture to get us through our current situation. For now, that love from friends trumps clutter and makes me smile every time I look at it! But for you, this may be a time that you want to clear off all the stuff hanging on your fridge for a nice clean look, or at least a clean slate for the new year. And then - the dreaded floors. Yes, most of us do our floors weekly, at least, but we are trying to do some deep cleaning this time! -Stick the rugs in the washing machine! -Move out anything that is on the floor! -Do the baseboards first, then the nooks and crannies. Since our steam cleaner does not always seem to hit those spots, we, meaning my oldest, did the floor by hand this time around. And an extra throw in at the last minute- we took this time to wipe down the trash can on the outside and clean the inside. This week for fun, Kemi from Homemaking Organized has made a Cooking Substitutions List just for you! You know - for when you are right in the middle of a recipe and realize that you do not have a key ingredient. Anyone? Pop on over and grab it for FREE- I think you are going to like it! I would recommend you stick it in a page protector and hang it inside one of those newly clean cabinets! That's it for this week! 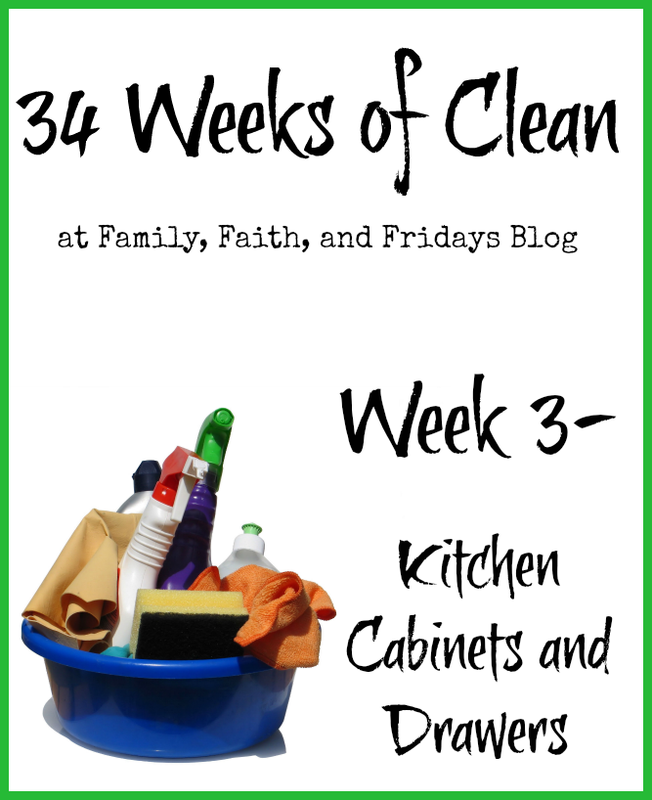 Now it is time for you to share how you did last week on your kitchen cabinets and drawers. Link up with us or feel free to leave us a comment! We want to be able to cheer you on. Plus, we are nosy! ;) I have already seen a few pictures floating around out there in Facebook land and you all are amazing! We have been working hard and our time in the kitchen is almost done. See 'ya back next week for one final kitchen project before moving on. On a cold, snowy day, this is what school looks like. CJ loves doing his history on the computer. Yay for Veritas Press! Welcome to Week 3 of the Virtual Curriculum Fair- Exploring Our World, co-hosted by Susan of Homeschooling Hearts & Minds and Stacy of Super Mommy to the Rescue. 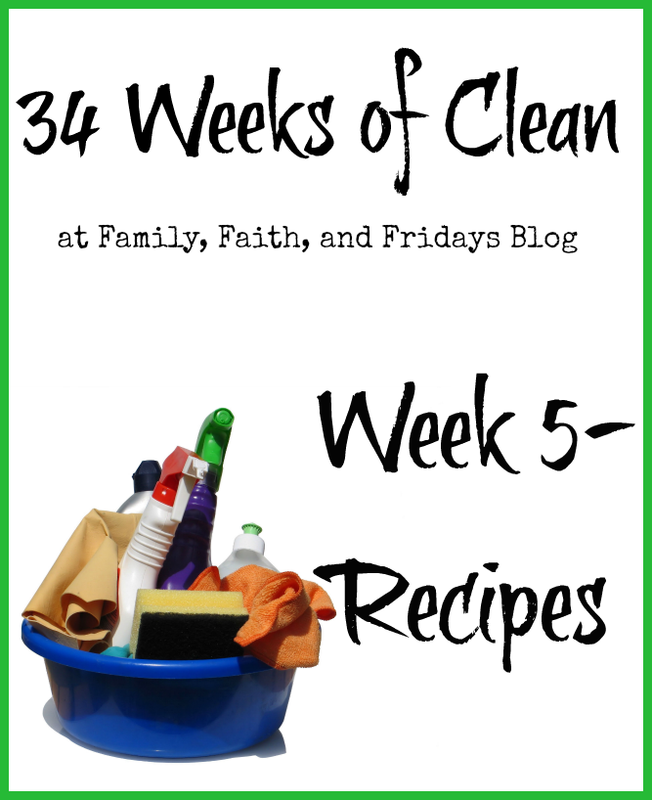 Weeks one and two were busy and I am just as excited about this week! Today is all about History and Geography! I have a house full of history lovers. They did not get that from me, by the way, but they do keep me entertained with many useless useful facts during the day. It is helping me make up for the fact that I did not pay attention to much history in high school. Sad, but true. But honestly, if I had heard history like my kids are hearing history I truly believe I would have listened more. THIS IS MY FAVORITE! Veritas Press Self Paced History This computer based program has been a huge blessing in our lives. It keeps my son engaged, teaches history from a Christian worldview, and is worth every penny. We will actually finish this one in about five weeks from now because CJ often doubles up on lessons (he likes it that much!) and I cannot wait to start the next one. My original plan was to have him do this program independently, which he sure could do, but I am learning so much that we do it together most of the time. Although we are going to be done with our current level in a few weeks we will not wait until next year to begin again - we can't wait to start the next time period! If you have not used Notgrass, I highly recommend it. Yes, it is a "typical" textbook experience, but the information is engaging and very well done. My son always does it early in his school day because he really enjoys it. You can incorporate literature, Bible, and writing with it but we are not doing that at this time. We do however use the activity book you can purchase separately for a review each day. She is doing Sonlight's Government program. This is what we started with our first child so we have just continued it. It is a solid program and there was no reason to buy anything new at this time. Depending on how we feel about the higher levels of Notgrass next year, this may be the last time we use this one since my son really likes Notgrass. 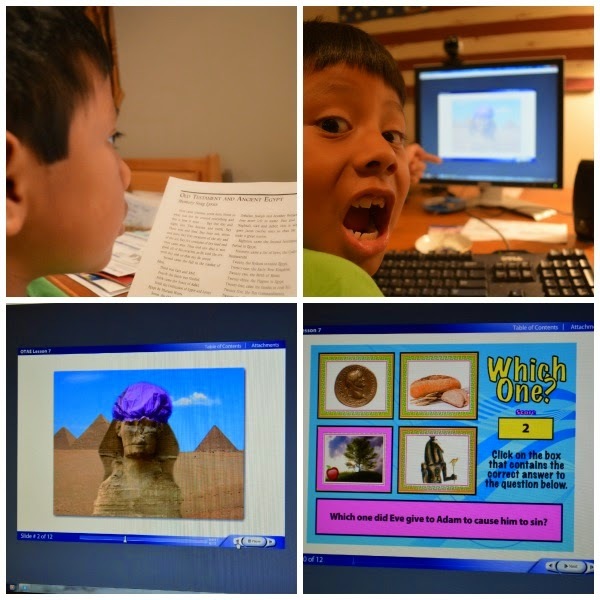 Remember, one of the joys of homeschooling is that you can customize your program to fit each child and their learning styles as well as their interests! Every year is different for us and right now we do not have any specific curriculum we are using for Geography. Veritas includes Geography in the lessons so I feel for now the 2nd grader is covered. The other thing we use for him is the If You Were Me and Lived In ...series. Such cute books and such good information. He loves them all, but his favorite is the one about Australia! The other Geography that I highly recommend happens to be Maps, Globes, Graphs Series. It may seem basic for some, but it really covers many of the skills that your child will be tested on with standardized testing. Because you can pick a level, it is easy to use as a fill in for anything else you may want to use. To get a glimpse of what others do, here is a list of some friends who are also participating in this week's VCF! Explore and enjoy! Welcome back friends! So, how are those pantries looking? I hope sparkling and organized. 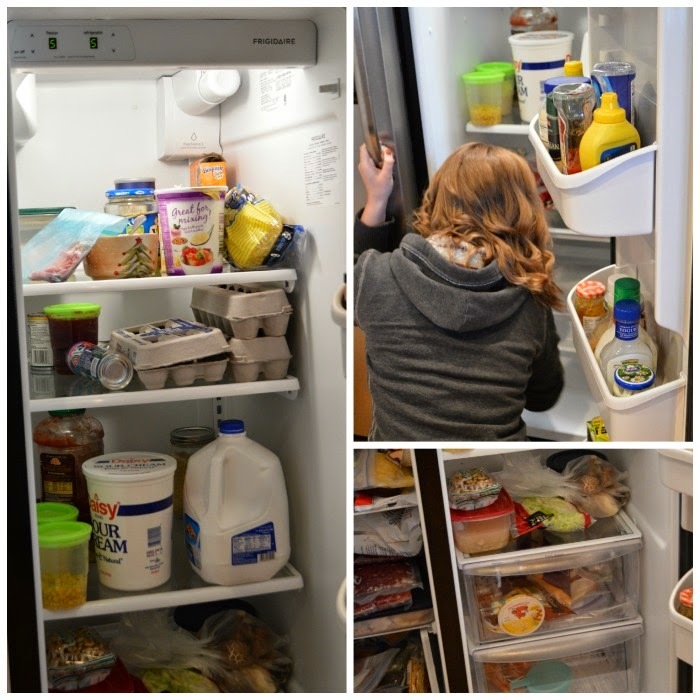 Hey, our meals may not all be stunning, but at least our pantries can be, right? I hope you will share on the linky below so we can all covet rejoice in your success. A BIG thanks to the 12 that linked up sharing their Christmas decorations! Each week I will make sure to share one of your links as a friendly thanks! If you are not a blogger, no worries, we still want you to comment and tell us how you did! At least one brave friend has already posted her before and after pictures on our Family, Faith and Fridays Facebook page! Next up- Kitchen Cabinets and Drawers. Now, I know that for some of you that is a lot of ground to cover. No worries, you have a whole week. Rome was not built in a day, nor will our homes be transformed in a day. Slow and steady wins the race, I promise. Our two goals for this week- clean out and off all those surfaces and pare down what we don't need or simply do not use anymore. Remember- we are trying to clean AND declutter! Put things back neatly, weeding out any unneeded items. Here is where you need to stop and think! Do I use it? Do I love it? Is it just taking up space? Is this in the best location for me to put it in! For example, I know if the waffle maker is at arms reach, I will use it! If it is tucked way back in a cabinet and hard to get, it gathers dust. If you have a gravy boat you use faithfully every Easter and Christmas, by all means keep it! If you have a springform pan that you may use ONE DAY to make a cheesecake that has been waiting for that time for the past 10 years, maybe it is time to pass it on to someone other chef-wanna-be! Once again, if you store cooking ingredients in your cabinets now is the time to check expiration dates and toss what is old. Do not skip this step, seriously! Sauces and such do get old and we tend not to notice them as quickly because we do not use them as often. Label, label, label! If you do not know what it is, you will not, or at least, should not use it! I had several jars of UFOs from my Trim Healthy Momma faze and I could not remember what they were. Sad, but true. Going out on a limb here- but re-think your plastic storage. It can absolutely take over your kitchen and rumor has it that it is not healthy for you anyway. ;) I have about 5 large ones I use, and the other times I use glassware. This picture was a before, I assure you it looks better now and we are minus a few Rudy's cups. Shhhhh, don't tell my husband! Throw out old spices! They do not keep for years, no matter what anyone tells you! And organize and consolidate! You do not need three of each and if you cannot remember what they are, you are never going to use them. I love my old tupperware organizer, but use whatever works for you. I do have a few new spices in a basket now (who else LOVES Penzy Spices?) simply because I have run out of room in my other containers. And yes, I DID get rid of the ones I did not ever use. Match your pots and pans with all their lids and stack neatly. If you have non-stick pans, make sure they are in good shape. For health and safety, if they are peeling, throw them out. This week is a good time to throw away old dishcloths and scrubbie things! You can do it. Once a year is not too often to just start fresh. We buy a stack of white washcloths and white towels for washing and drying dishes as well as our hands. We also use cloth napkins, so we keep those in a drawer as well. 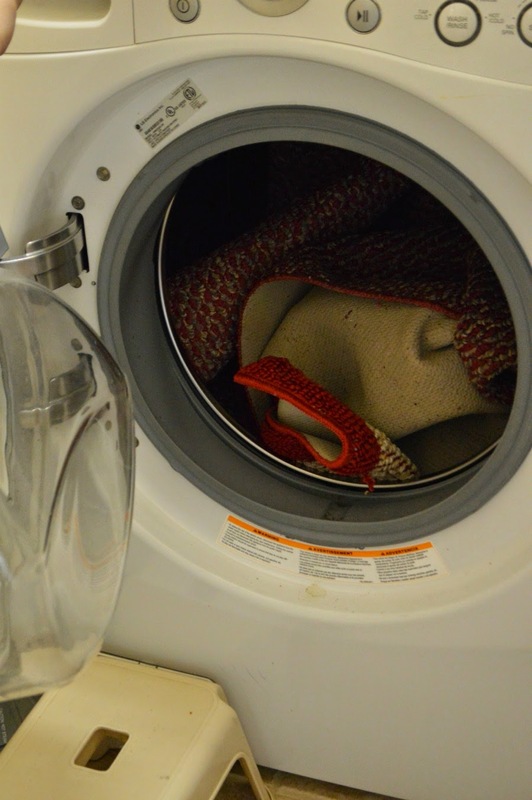 Throw those crusty pot holders in the washing machine and do the decorative rugs while you are at it! A note about junk drawers! Do you have one and why are they usually in the kitchen?? I would love to tell you that this is one thing you do not need, but let's face it, that is not the truth. Go ahead, open it up, throw away all the stuff you do not need and at least make it look neat and tidy. To help you this week, Kemi from Homemaking Organized has made some wonderful Spice Labels for you! Is she amazing or what? I cannot wait to put these on my containers so they all match. 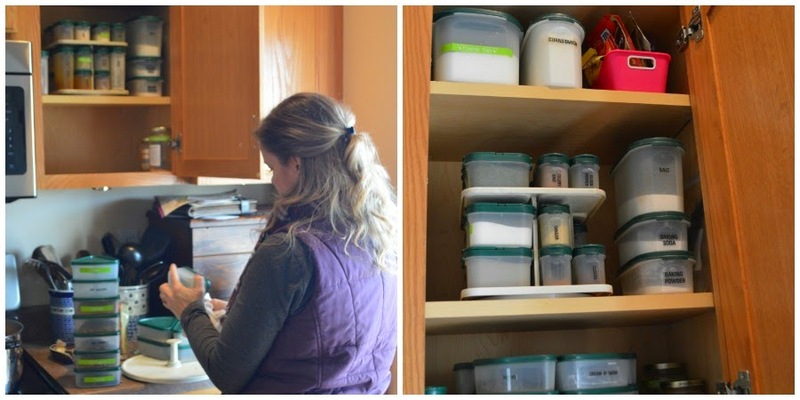 I showed you my pantry last week- now is the time to show us yours! See ya back for next week's assignment- remember, slow and steady, one week at a time! I know, I know, me- with few words to say! Can you even believe it? ;) In an effort to simplify some things around here, out of pure and selfish necessity, I will be posting lighter stuff on Wednesday. This is what school looks like in our world- loving Nancy Larson science! Win a Go Pro camera and MORE!